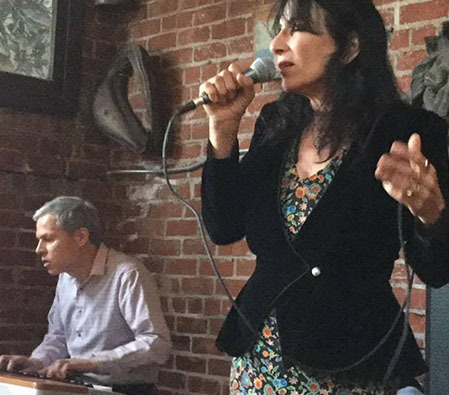 Karen Sudjian is an amazing vocalist and songwriter who sings fluently in Portuguese, Spanish, French, Italian, and English, and is a master of the intricate styles of Brazialan, Blues and Jazz standards. This is an artist not to miss!! Jim Davidson attended the New England Conservatory of Music in Boston, where he studied piano with jazz great Jaki Byard. Through the years he has played with numerous jazz greats. Jim currently splits his time between co-leading a quartet with vocalist Karen Sudjian and as a sideman with guitarist Larry Stefl’s group.